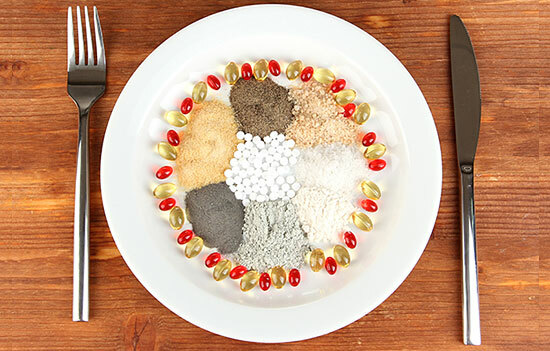 Natural supplements can be taken to provide the nutrients your body isn’t getting from food, but there are so many different options and recommendations for supplements that it’s hard to know what to take. If you’re like me and you don’t want to be popping pills all day, it’s important to identify what your body needs most. However, because they can have side effects, it’s also important to follow the advice of an experienced professional before adding supplements to your diet. I eat a healthful diet so that I get the most nutrients from the food I eat. In my opinion, food is the best source. Unfortunately, thyroid issues can disrupt how your body absorbs nutrients, which leads to depleted stores of the very building blocks that help produce the hormones your body needs. Taking supplements can help with this. In addition to vitamins and minerals, antioxidants, adaptogens, and amino acids are needed for many important processes. Antioxidants prevent or slow damage to your cells. Adaptogens help your body manage stress and resist fatigue, and amino acids are the building blocks of protein, which makes up 20 percent of your body. Adding the right supplements to your daily regime can help boost your immune system and give your endocrine system the fuel it needs to function. There are a wide variety of supplements that are used to help boost your hormone system. Selenium is an antioxidant that protects your cells from damage. Iron is necessary for oxygen-carrying red blood cells. Zinc keeps your tissues healthy. Copper is an antioxidant that helps your body make red blood cells. Magnesium boosts your energy levels and helps your tissue relax. 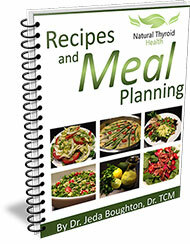 Iodine is needed to produce thyroid hormones. Omega 3’s play an important role in cellular function. Probiotics are good bacteria for gut health. L-glutamine builds muscles and maintains a strong immune system. Glutathione is a super antioxidant that helps detoxify your cells. Most brands found in your supermarket are of poor quality and aren’t absorbed well by your digestive system. Look for pharmaceutical grade products that meet national pharmacopeia standards. See your healthcare provider to discuss what supplements you should be taking to treat hypothyroidism.